That was interesting, I see a lot of Uncharted 2 in this game though. Which is not a bad thing since I play everyday a little of the multiplayer mode of that game. 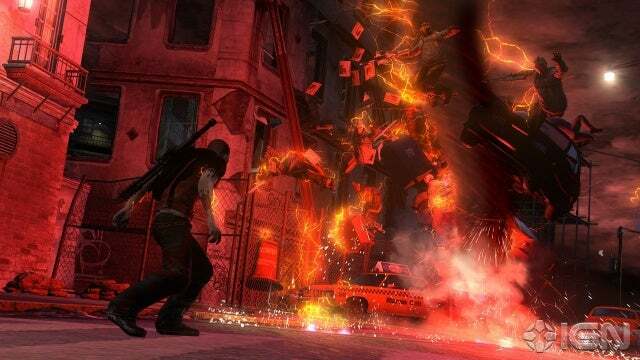 So, I might buy InFamous 2 after all. Extremely interesting if you're a fan of the franchise. You NEED to see the second video they show! I only played a 1/3 of the first, then got bored. The new powers look like fun. Lightning tornado? Hell, yeah! The overall graphics look the same, though. blah. They NEED new environments. That's the main reason the first one got boring over time. I DID like Cole a lot. Glad they changed him back. A bit refined, but mostly the same. The city itself looks almost identical. They seem to be throwing in more effects and stuff, but that's not what I meant. The game looks like it'll be more fun than the first just due to the increased amount of powers. I wonder it all the baddies are still able to hit you from a mile away. From a technical point of view the improvements are pretty big but I can see how an untrained eye could miss them. As for the setting, it's not this huge metropolis full of skycrapers like the first game, the fact that it's heavily inspired by New Orleans pretty much tells you what to expect. 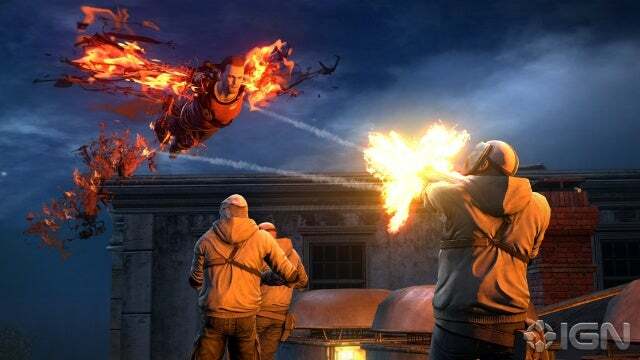 The city in infamous 1 had that dark, gritty look and this one definitely looks a lot more lively, there's a lot more color. I liked the style of the first game but it's a welcome change. New trailer showing ice (and fire!!!) powers. How can a sandbox game look this good. What a mindfuck. People were already starting to say that they cut the ice powers because they were never mentioned again, now they even throw fire into the mix! Save from infamous 1 can be imported. Not sure what it does, probably gives you good/bad karma right from the start. Thanks for that, looks like quality stuff, although I'll still probably pass. 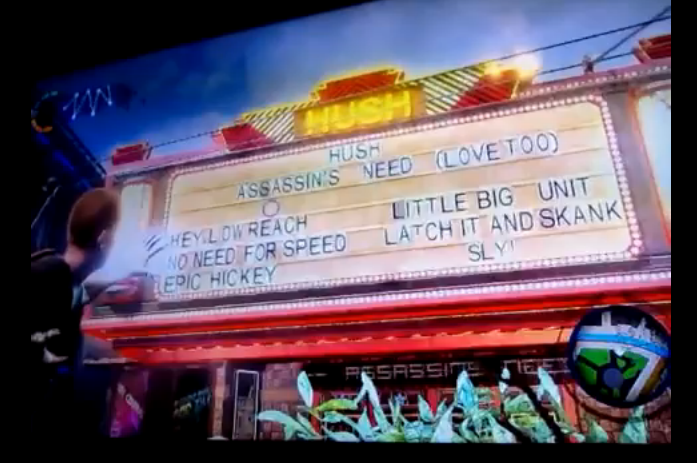 I just can't see myself enjoying these "Blockbuster" games with all their cinematics. Reminds me too much of a modern action flick. You know what I can't believe? That they're releasing it the week of E3. Nobody will be around to review it. Whining because I'm still so stoked about this game. Holy crap, didn't see that one coming. This might be the biggest jump in quality we've seen between a sequel and it's predecesso this genr. The first game was awesome but this is on a completely different level, it's like a generational leap. I honestly didn't really like the first game and I was all set to ignore the sequel, but from what I've been reading they are making a serious effort to address a lot of my complaints. Still, 2011 is so packed with good games that I'll take a wait and see approach this time around. I loved the first one a ton. Still massively excited for the sequel. :) In fact, watching that video made me want to play the first game again. Did anyone here get a beta code?